The originality of Sheila Markham’s conversations with the antiquarian book trade is the privileged insight they give into the quirky yet fascinating world of rare books, demonstrating how very much alive it is today. She allows every bookseller his or her own monologue to talk about what interests them in their job, how they fell in love with books, or their views on the current state of the trade. 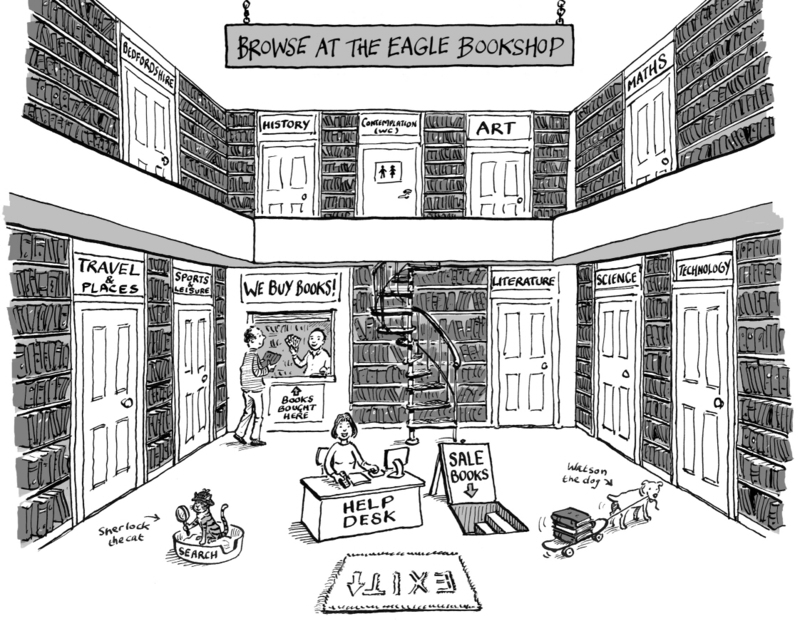 Each bookseller has an individual voice – be it modest, earnest, anxious, ironic, zestful, measured, proud, humorous, business-like, secretive or nonchalant. 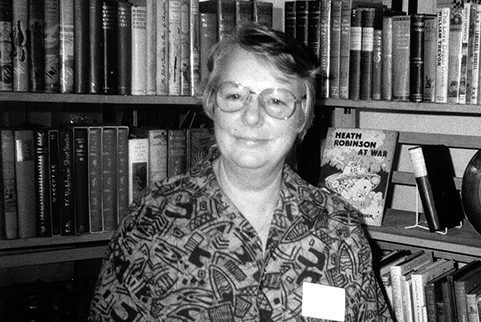 Sheila Markham’s role is that of a silent recording angel, benign and encouraging, bringing forth occasional glissandos of egotism and ambition, wistful memories of happier or more profitable times, and occasional revelations of life in the real world as Buddhist monk, fashion photographer, drystone waller, bus driver, actor or pedagogue. An invaluable mine of fact, anecdote, memories, few lies and no statistics. Thank God for all the persons that Sheila Markham has immortalized, and all the rest that she has yet to reach. Did I really order the large-print edition? This sketch by the Victorian artist John Leech (Mary Evans Picture Library) appears on the dust-jacket of the two volumes of Sheila Markham’s conversations with the antiquarian book trade published in 2004 and 2014.